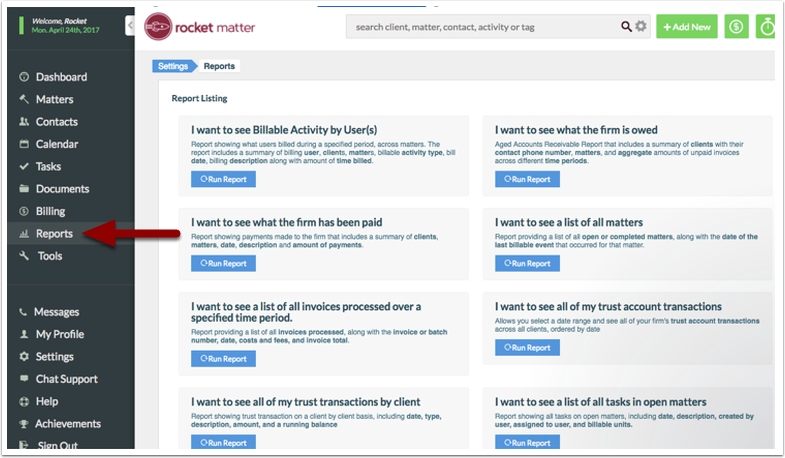 Rocket Matter Knowledge Base LexCharge Integration - Credit/Debit Card ProcessingHow to issue a refund with Rocket Matter Payments. 4. 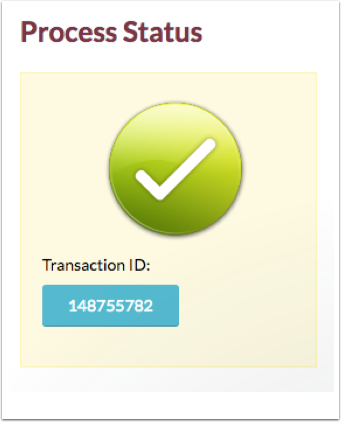 Confirm Client Name, Transaction ID, Original payment date and payment amount and click 'Process Refund'. 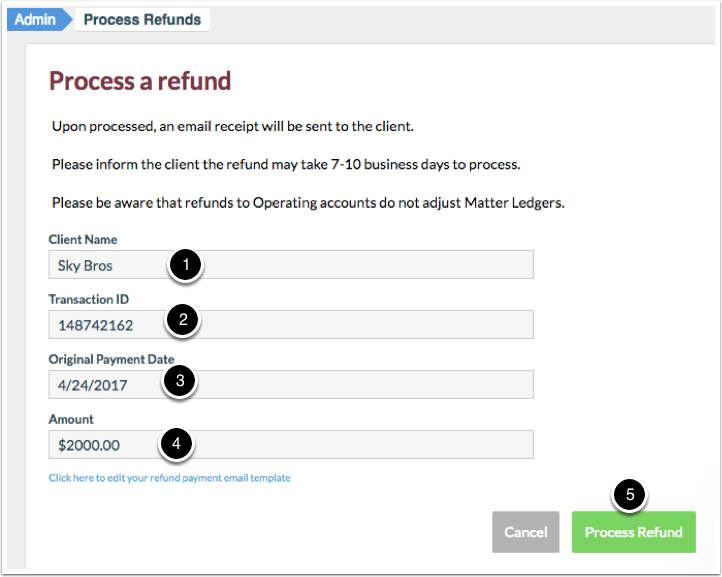 Prev: How to 'Edit a refund email' template. 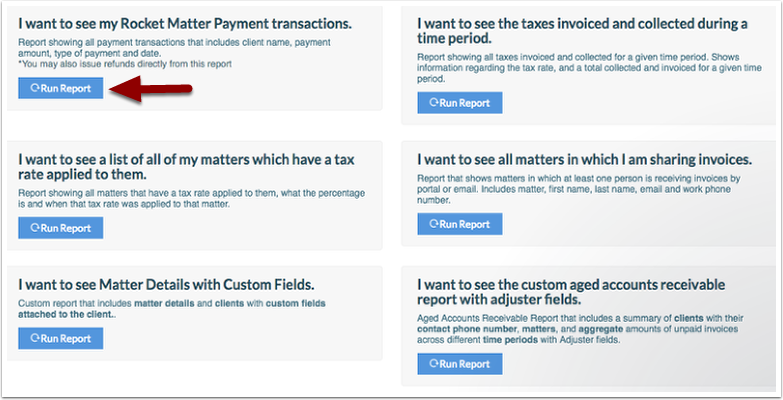 Next: What is ‘Request Retainer’?